How many times have you heard “Advertising is dead”? If you own a business or have spent any time in the tech industry, probably hundreds of times over the last 10, maybe 20 years. And yet, here we are. The prognosticators predicting the doom of traditional advertising have been both right and wrong. Yes, traditional advertising has certainly fallen on hard times, and the overall digital media spend continues to grow every year. However, no, traditional advertising has not disappeared. In fact, combined traditional advertising spending continues to be substantially larger than combined digital advertising. TV still exists. Every year traditional cable hemorrhages paid subscribers while streaming continues to grow – even on a traditional TV set and in some cases with local and regional ads. With exception of a small amount of cities, billboards continue to stand as strong as ever. 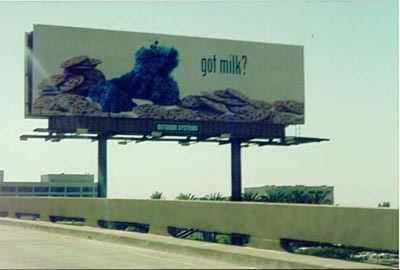 Population growth and aging highways help outdoor advertising make its case. A captive audience and astronomical traffic counts still make billboards one of the most powerful tools for mass marketing and branding. Think print is dead? Perhaps for newspapers, but print magazines continue to thrive even in the face of declining print revenues. The model has changed and the media has evolved, but regional, local, and niche magazines continue to keep readers. Yellow page directory… if not dead, then certainly in its last throes. Internet search demolished the industry. What used to be a massive paper block of ads and phone numbers has now been reduced to a smaller, slimmer version of itself not even suitable as a booster chair or doorstop. Newspapers… the print newspaper is a dinosaur headed for certain extinction. Ad sales have grown primarily online for many of the major legacy newspapers (think: New York Times), whereas smaller newspapers continue to see revenue shrink both online and in print. Consumers today just don’t read the news the same way they did 30 years ago. So how is it that traditional advertising continues to survive while digital advertising evolves and devours more of the annual ad spend? The answer is simple: consumers live in reality. Reality is filled with multiple forms of media broadcasting thousands of messages every day. Until the time comes when consumer noses are glued to their phones all day, life outside of the Internet will continue to make an impression. Your buyer checks social media and email first thing when he wakes up. If he has kids, chances are he doesn’t have much time for surfing the web during breakfast. More likely he has a TV or radio on. He hops in the car, drives the kids to school, and then gets stuck in traffic during his morning commute. The radio is on, and he drives past 40 billboards and three buses with ad placards. Once he arrives at work, he sees two copies of a print newspaper in the break room as he makes his coffee and eats complimentary donuts. Before getting too deep into work, your buyer opens social media again, visits multiple news sites (blogs, online news organizations, maybe even the local TV station’s site), and is treated to videos and display ads. He gets countless spam emails that morning and discovers promotional pens in the copy room that were left behind by the insurance rep. Someone hung a poster for Girl Scout Cookies next to the water cooler. Once the end of the day rolls around, your buyer spends a solid hour coasting through the afternoon watching YouTube, reading social media, and listening to Pandora with his headphones on. Back in the car, drive time radio, 40 more billboards, four taxis with placards, and another bus with an ad wrap. That night he checks the mail, from which he saves his favorite magazine, a catalog for an outdoor sports shop, and a handful of coupon mailers for his wife. When 8pm rolls around, he divides his attention between the TV, his phone, his new magazine, and the catalog. Just before bedtime, he checks email and social media again. Were you counting the traditional advertising versus the digital advertising? Guess what, neither was your buyer. Blight. Visual pollution. Sewage on a stick. I’ve heard it all before. After 9 years in the out-of-home industry, I’ve encountered every attitude and opinion, positive and negative, about billboards. For now, let’s put aside those feelings and discuss what you can learn from out-of-home advertising: Messaging. The cardinal rule of billboard design is to keep the ad copy brief and direct. 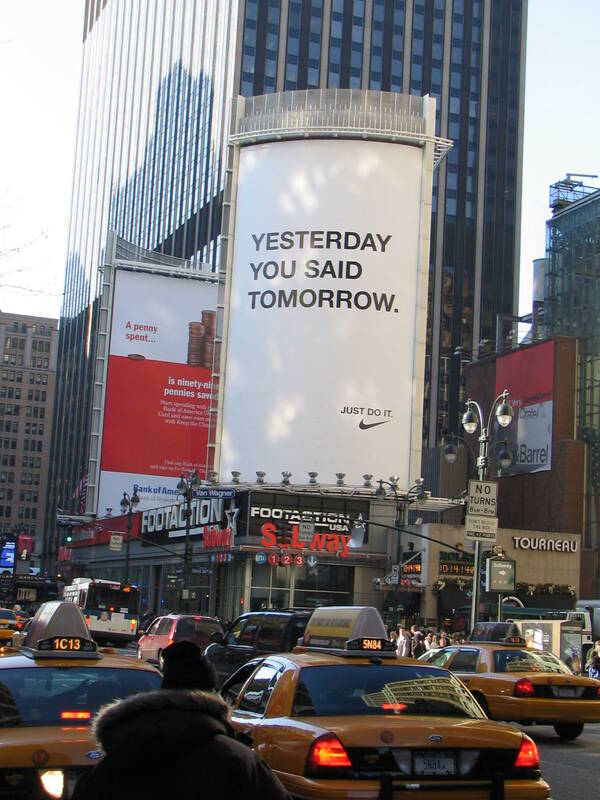 With finite space, environmental distractions, and a rate of approach that lasts only a few seconds, a billboard design must summarize the message, connect with the reader, and inspire action all within a single sentence. An engaging image, well-designed layout, and a powerful message will leave a lasting impression that can sway an entire industry. The best billboards achieve this goal beautifully. Who doesn’t remember Apple’s Think Different? The worst billboards inspire confusion and widespread derision. Seriously. Don’t be these guys. What does all this mean for you and your business? The most powerful marketing messages contain 10 words or less. A brand’s core value is best conveyed with consistent, easy to digest statements that resonate with its audience. Compelling and effective marketing messaging can be crafted by identifying the emotional reasons a buyer (voter, supporter) would choose your brand over the other options in the marketplace. Think of all the unique qualities of your product or service. List out the reasons a buyer would choose you over the competition. Does your product or service solve an emotional need for the buyer? Is there a pain or pleasure, desire or demand, aspiration or ideal that can be achieved as a result of the purchase? Write all of these concepts on a sheet of paper and start brainstorming over ways to summarize your unique value proposition to the buyer. One good exercise is to cut sheets of paper into thirds horizontally. These are your billboards. On each slice of paper write a value statement in 10 words or less. The goal is to capture your brand’s identity, the benefit of your product or service, and to solicit an emotional reaction. This is no small task, and the learnings will be immense. Once you’ve made a billboard, the rest of your marketing messaging strategy can be expanded to inspire action across multiple mediums, content sites, and collateral. Along the way, you may even come to respect the sewage on a stick.